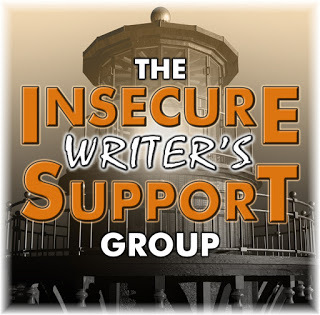 Denise Covey: #IWSG post - TICK TOCK, A STITCH IN TIME. C LEE MCKENZIE. WEP. #IWSG post - TICK TOCK, A STITCH IN TIME. C LEE MCKENZIE. WEP. Hope your Easter was awesome! This month, it's all happening. Of course, we have the A - Z Challenge, but two things are close to my heart. First, is the IWSG. I'm a bit early, but I want to squeeze so much in, you might need a day to read it, LOL. I'm so upbeat about my writing, I don't have cloudy days or days filled with rain, except in my settings sometimes. Lucky me. I read a lot, so am inspired by awesome writers then I just wallow in the process myself. Selling a book or six will be a bonus one day soon. If you have time in crazy April, please visit Alex J Cavanaugh and his awesome co-hosts this month - Olga Godim, Chemist Ken, Renee Scattergood, and Tamara Narayan! 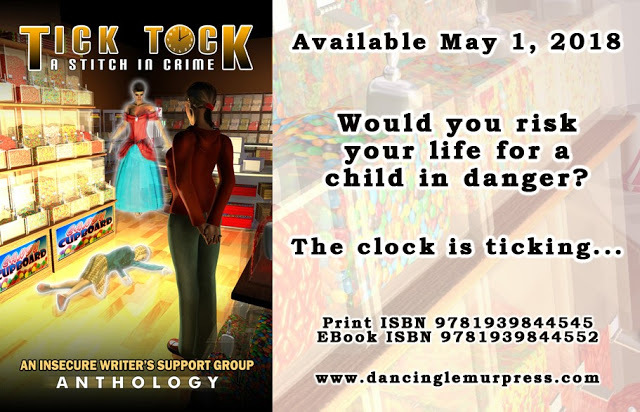 Moving on from the IWSG, today, I suspect you're going to hear more about the anthology, Tick Tock, a Stitch in Crime, compiled by the IWSG. I offered to read/review the anthology, so some of my post today is to publicize Tick Tock and show you my review. I thoroughly enjoyed this collection of thought-provoking crime stories, eleven in all. The differing writing styles and story lines makes this a diverse collection, all linked together under the common theme of time. Each contains some aspect of thriller, crime or mystery, but all are up against the clock. There's a time travel story (always a winner! ), a paranormal whodunit (that got my attention! ), and a multi-point of view revenge tale. The anthology had me flipping pages. Hooked. Some stories didn’t surprise me with their endings, while others did, always a bonus. As a whole, the stories drew me in and left me wanting to know more about the authors who were chosen for inclusion in the anthology. I did have favorites, but I don’t want to name them here or single anyone out, or leave anyone out. All of the authors created thoroughly engaging stories, writing to a high standard. Kudos to the editorial team. I requested a pdf copy so I could prepare this review ahead of release day. Hi Denise. thanks so much for sharing news about Tick Tock: A Stitch in Crime on your blog today. 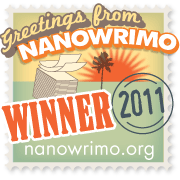 This is the fourth time I’ll be included in a group of short stories written to a theme. Each time I’m blown away by how all of the stories have a connection and yet are distinct. Since I’ve been associated with several collections, I finally became curious about the word "anthology", so I looked it up. It seems the word entered our language in the 1600s. We borrowed it from the Greek word, "anthologia", which means The Garland. The story behind this odd association belongs to a Greek named, Meleager who collected lyric poets’ work, put them into a single collection and compared each poet to a flower or plant, forming, in a metaphorical way, a garland. I’m a word nut, so this was an interesting bit of information to tuck away. In this anthology, there are eleven unique stories that have some aspect of thriller, crime or mystery all up against the clock. Among them is a futuristic time travel story, a paranormal whodunit, and a multi-point of view revenge tale. Here’s the blurb to give you a better idea about the collection: Can a dead child’s cross-stitch pendant find a missing nun? Is revenge possible in just 48 minutes? Can a killer be stopped before the rescuers are engulfed by a city ablaze? Who killed what the tide brought in? Can a soliloquizing gumshoe stay out of jail? Exploring the facets of time, eleven authors delve into mysteries and crimes that linger in both dark corners and plain sight. Hand-picked by a panel of agents and authors, these tales will take you on a thrilling ride into jeopardy and secrecy. Trail along, find the clues, and stay out of danger. Time is wasting. I hope everyone will stop by our new website for excerpts and stories behind the stories. Now I did say there were two things happening that were important to me. 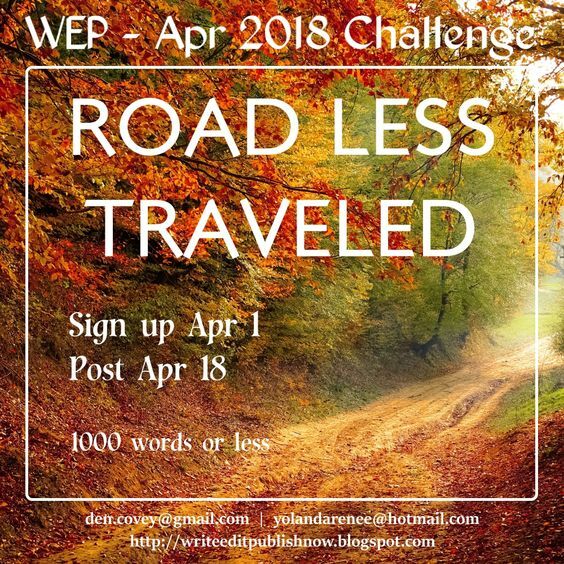 After you read my review and C Lee's post, I hope you don't have reader fatigue cuz I want to tell you that WEP (Write...Edit...Publish), that persistent online writing community full of adorable people, has posted their new challenge today for entries on April 18th or earlier. The theme is ROAD LESS TRAVELED. 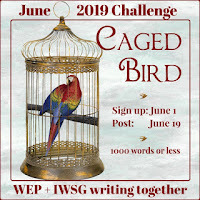 If you have something that would suit the theme, or you can make it work for the A - Z, please link it and go right ahead and submit your name to the list in my sidebar or at the WEP website. There's a $10 Amazon Gift Card for the outright winner! Thanks for visiting! Enjoy the crazy month of April! You're fortunate to have such an upbeat writing life. I think most writers struggle to some extent, and I know I have to work hard to keep the dreaded writer's block at bay. It's a great feeling when the words just seem to flow of their own accord. Yes, that's the best, Ian. I'd heard that story about the origins before. Interesting how words come into being, isn't it? Glad you enjoyed Tick Tock, Denise. Good onya Pat. You’re amazing! Thanks so much for featuring Lee and Tick Tock. Yeah, well, I think I'm lucky in several aspects. Reading is one of the joys of my life and anyone can escape with their mind in a book. Another busy month ahead, I see. Thanks for the review of Tick Tock and for letting me show up on your jam-packed site! Always a pleasure to put in an appearance here. Congratulation on running yet another WEP. The entries never fail to intrigue me. All good Lee. Glad to have you. Fascinating post. And hoping Tick Tock takes off! And WEP is such a blast of creativity! Hi Denise ... and yes you've the Commonwealth Games going on nearby - that'll add to some frustrations ... but I hope fun to be around. Sadly I'm opting out of the WEP this time ... just can't properly cope ... but will always be around. Yep. Very busy with the Commonwealth Games which is why I'm skyping with my critters today instead of driving to the Gold Coast. Bedlam. Starts today. So sorry you'll not be doing WEP this month, but completely understandable! See you next time I hope! This anthology sounds terrific. I try to be upbeat and happy too. Best way to be Holly! The crazy month of April! I couldn't have put it better myself. 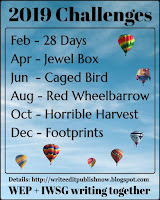 Yeah, the craziest month in the blogosphere! Thanks for the review! I'm looking forward to reading the stories in Tick Tock. Ooo, I enjoyed learning about how the word anthology came about. Thanks, Lee! A great read Cherie. Lee’s post is so interesting. It is wonderful when your writing flows, Denise. Keep going. Thanks for the guest post. I never knew what 'anthology' meant before I read it here, even though I participated in a few anthologies. It's always exciting to learn the word roots. I will Olga. Thanks. Isn’t it interesting learning word roots. Did so much of that at school but not necessarily the words we wanted to know about. I love your positivity. It's infectious. Heh heh. You should know. And I hope it is. 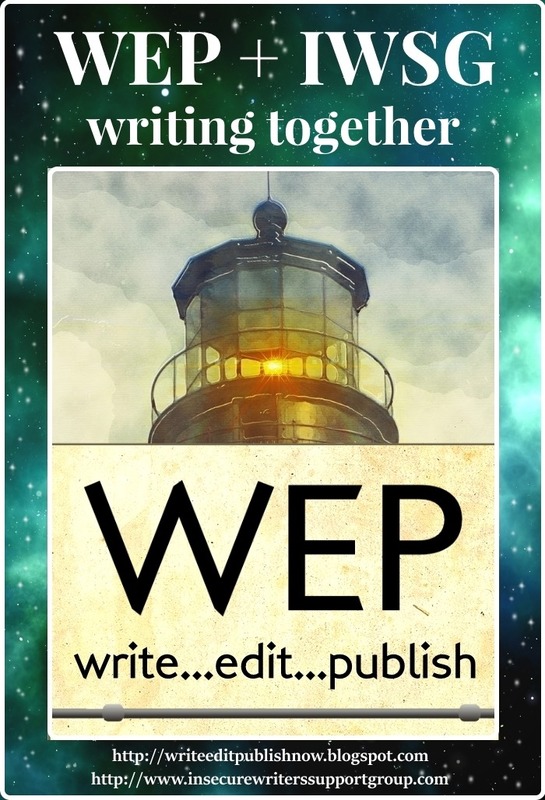 I'm looking forward to the April WEP. I love being in the IWSG and I'm so proud of Tick Tock. Already reserved my copy on Amazon. Thanks for featuring Lee as guest blogger, writer. I so identitfy with reading keeping a person upbeat. If I ever have a problem, it will be that I am living too many great stories that I read. You sound pretty upbeat yourself Pat. Looking forward to the April WEP too. I’m ready. Thanks for the review of Tick Tock. It is a fun book and full of variety! I'm thrilled to hear that you're so upbeat, that's wonderful! I can't wait to see the results! That's great. You'll enjoy it! Thanks for all the INFO.... WOW, this is a LOT to take in on one post. LOL. Enjoyed it thoroughly! You are effervescent as always! Wish I had you energy... I'm working on it. Still not 100% health wise, but I am still plugging along. So excited about your new project, Michael. You'll do it so well. Your enthusiasm is palpable. I could never stop reading. It's so therapeutic and improves my writing. I'm like you with my writing. The more I read, the more inspired I am to write and I read all the time. Can't wait to get my hands on that new anthology. Reading certainly inspires me to write better. It's a great anthology. Yes, we read and we write. At times we all feel in the slump but we have to keep plodding on. All the best! Yep. And to the other ten writers in the anthology! It's a great collection. I love your positive outlook! Looking forward to the Anthology. Like you I enjoy words so much that reading in itself gives me a high that translates into an irrepressible need to write. You can't beat reading for inspiration! Glad you share that with me. I like your upbeat vibe, Denise! Writers are usually such a melancholy lot - and poets are actually even worse haha...Tick, tock sounds gripping, so far all the ISWG anthologies I've read have been super enjoyable. Looking forward to the WEP reads this month - pretty sure it's going to be a fab collection there too. Heh heh, Nila, I mustn't be a real writer then, LOL. I'm rarely melancholy. 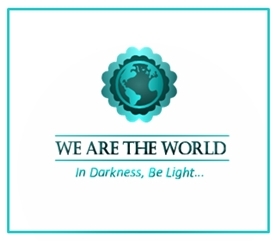 I know WEP is going to be great as always. Lucky you, Denise,that you have no clouds. I struggle with setting too. I don't like writing description. Excited that so many friends are in the Tic Tock Anthology. Hope you're having a wonderful month. Thanks j Lenni. I am.